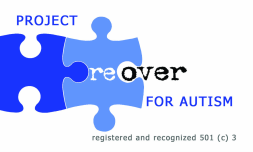 PROJECT REOVER was founded in 2012 by a group of stakeholders that were able to see the correlation between the challenges faced by autistic children and youth in America and the resources that are made available to them through private and publicly funded programs. Headquartered in Charlotte, North Carolina, the organization provides support and promotes opportunities that enhance the lives of children within the autism spectrum and their families. In addition, PROJECT REOVER is dedicated to raising money to fund autism research, awareness, and education. Since its founding, PROJECT REOVER has been successfully serving autistic children and youth across the country. Recognizing the gap between insurance coverage and the various needs of those with autism, the organization offers workshops and provides many youths assistance in managing and coping with their autism.